[패턴영어] 명사 + was the first to + 동사 원형. 명사 + was the first to + 동사 원형. She was the first to start the new hair style. 새로운 머리 모양을 한 것은 그녀가 처음이었지. I was the first to turn in the report. 보고서를 제출한 것은 내가 처음이었지. Lucy was the first to voice an opinion. 목소리를 낸 것은 루씨가 처음이었지. Mike was the first to figure things out. 상황 파악을 한 것은 마이크가 처음이었지. 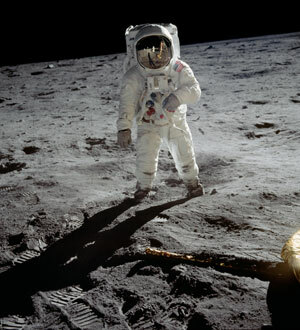 NASA was the first to land on the moon. 달에 착륙한 것은 나사가 처음이었지. A: I guess the cat's out of the bag. A: 내 생각에는 비밀이 새어 나간 것 같은데. B: Yep. Mike was the first to figure things out. B: 그래. 상황 파악을 한 것은 마이크가 처음이었지. A: Now everybody knows. There's no use denying it. A: 이제 모두가 알아. 부인해 봤자 소용없어. * I guess the out of the bag. : 내 생각에는 비밀이 새어 나간 것 같은데. * Mike was the first to figure things out. : 상황 파악을 한 것은 마이크가 처음이었지. * Now everybody knows. : 이제 모두가 알아. * There's no use denying it. : 부인해 봤자 소용없어. 선생님 고맙습니다. 한글 해석 처음이 었지 빠져있네요. 오늘도 감사히 공부하고 갑니다. 행복하세요.